Here the review of Oukitel K10 an 1100 mAh battery centric phone with great specifications. The daily usage of mobile phones is on the rise. On Normal, we charge our mobile phone at least two times a day. Sometimes we need to make some urgent call or anything else but the phone doesn’t have enough juice to make that happen. The K10 will be a great solution for all these problems. 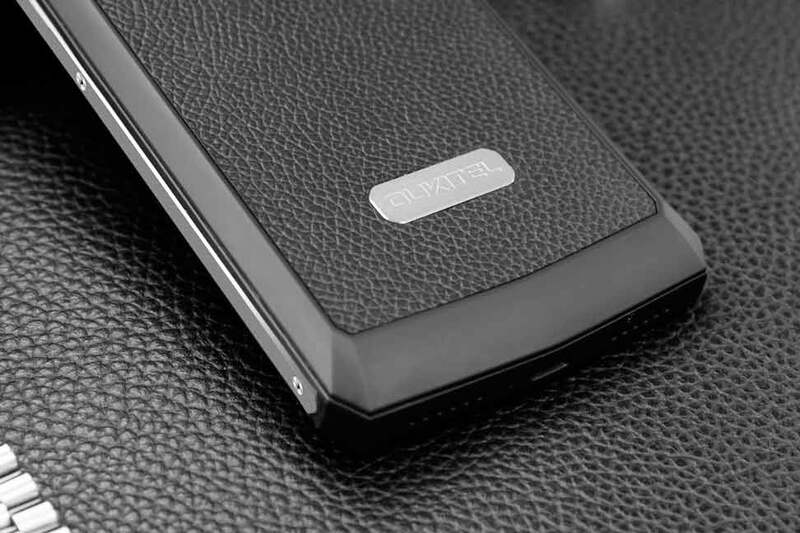 Oukitel K10 features a massive 11000mAh battery. Even though the battery of the phone is the main highlight there are some other great specs. Before reviewing the phone lets see what will we get inside its box. 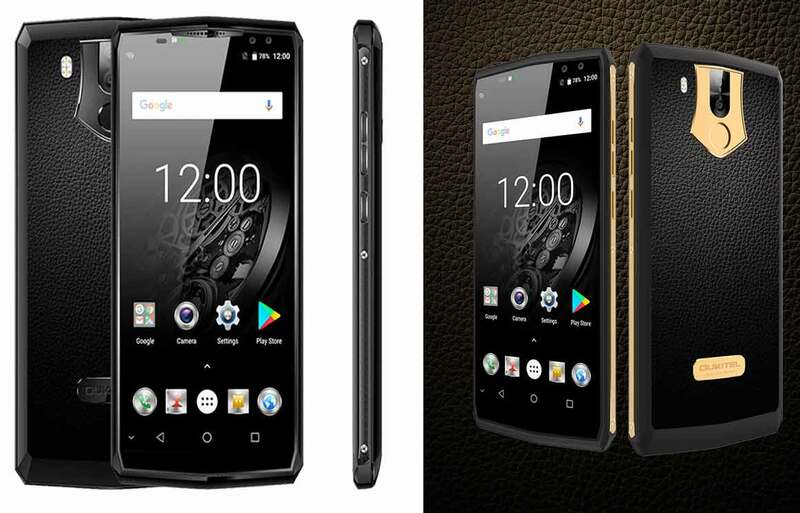 It is equipped with 6GB of RAM coupled with MediaTek MT6763 Helio P23 Octa-core processor, cloaked at 2.0GHz. The combination of ram and CPU ensures to output great performance and smooth multitasking. 2018 is the year of big and wide displays. 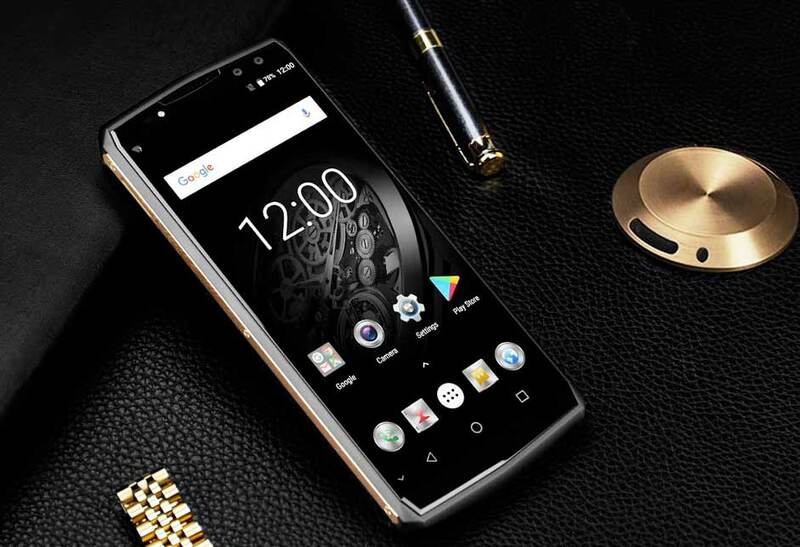 The Oukitel K10 is equipped with a 6-inch AUO In-cell display. The display has a resolution of 1080 x 2160 pixels (FHD+) making 18:9 screen aspect ratio. The display has 5 multi-touch points. Viewing movies and playing games on the wide display is a great experience. It is accomplished with Dual rear cameras, 16MP + 0.3MP (Samsung 3P3). The resolution of the cameras is interpolated to 21MP and 8MP via software. Not just at the back but also the front of the phone houses dual camera setup. The front cameras are of 8MP and 0.3M and are interpolated to 13MP and 8MP respectively. To make the selfies look perfect there is flash light at the front of the phone. The phone has a total of 4 cameras. The phone is capable of recording 4K Ultra HD videos at 30 frames per second. It is a Dual SIM smartphone having nano-SIM card slots. The Second SIM slot can also be used as SD card slot. 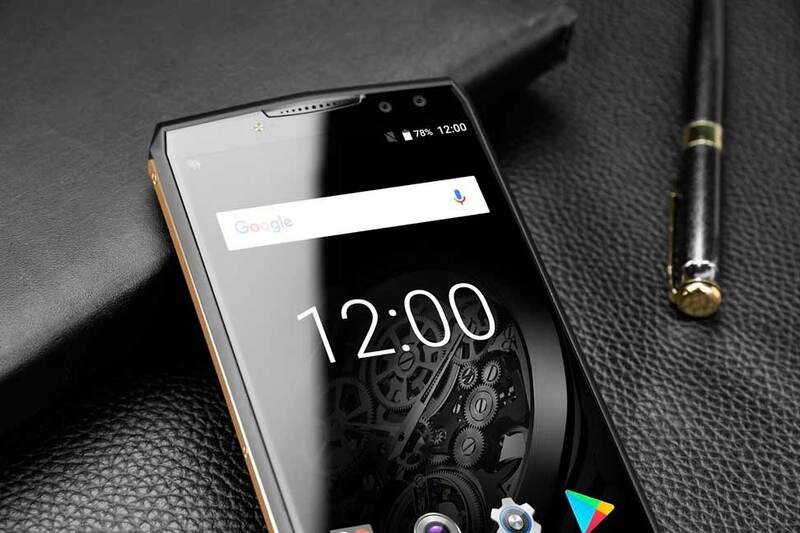 Oukitel K10 comes with 64GB of onboard storage and memory can be further expanded up to 128GB using an SD card. It runs on Android 7.1 Nougat out of the box. It weighs 283.5 gram and is 13mm thick. The phone looks robust and durable. 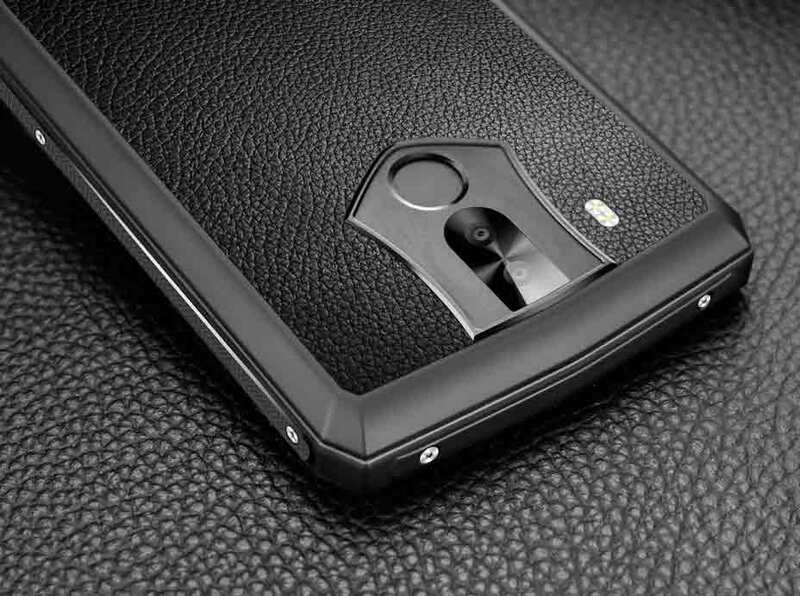 The frame of the phone is made up of magnesium alloy and rear of the phone has real calf leather from Australia. 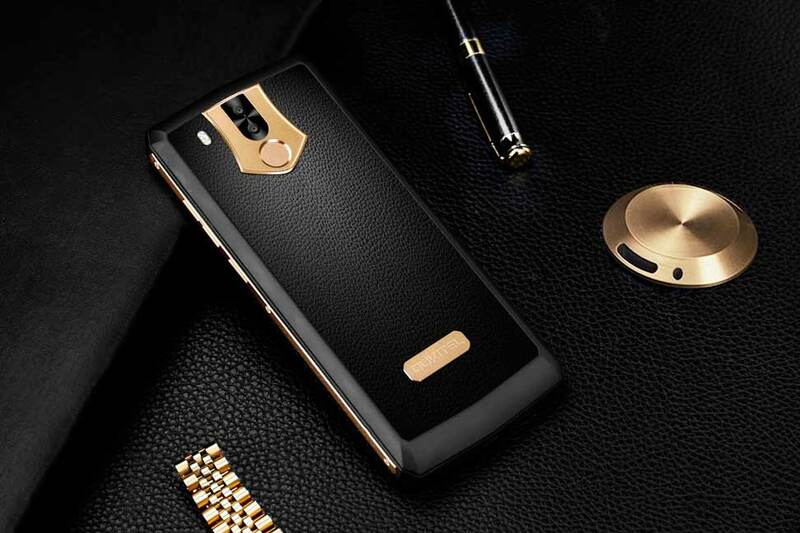 It comes in Black and Gold colors both give a premium look to the Oukitel K10. It has Diamond kind of design which makes it more premium that it is. It has latest USB Type-C port with fast charging. The massive 11000mAh battery offers 1008 hours of standby time and 25 hours of online Video watching time. The K10 comes with a 5V/5A power adapter that charges the battery completely in 2.5 hours. The company claims that 5min of charge will give 2.5 hours of talk time, quite great! Isn’t it?. Other features include Bluetooth 4.2, GPS, WiFi, FM-Radio, 3.5mm audio jack. It also has NFC support to enhance the connectivity and to ease payment. It has Gravity, Ambient light, Proximity, E-compass and Gyroscope sensor. There is Face ID unlock feature and fingerprint sensor to secure the phone. So overall the K10 is a great smartphone with a massive 11000mAh battery that can easily last for 6 days of normal usage. It has 4 camera setup, 2x in front with flash and 2x at the rear and is capable of recording and playing 4K Ultra HD videos. So at price of $249 it is a value for money. You can buy it from Gearbest with Extra 7% OFF using Coupon: GB7%OFF, valid until March 30th 2018.